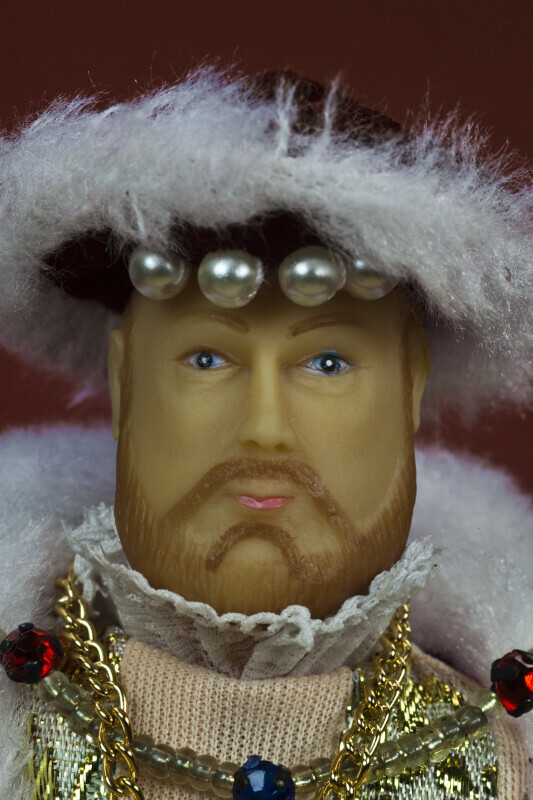 Doll of King Henry VIII. His head and torso are made from rubber. His head depicts his blue eyes, reddish hair, and rounded face. He is wearing a red velvet hat with white fur and pearl trim. His coat is also red velvet with white fur, and it has gold trim. Henry has a medal on a gold chain around his neck. His face Stand says "Six times married in search of a son and heir to the throne of England." The figure is 8 inches (20 cm) tall.